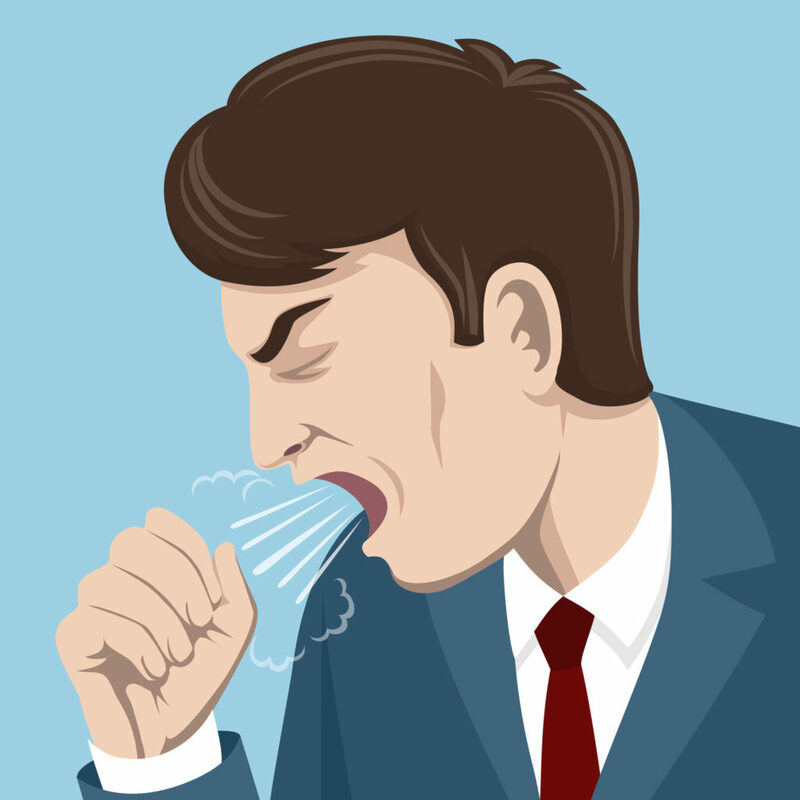 Cold, flu, allergy, sinusitis can all involve the upper airway and cause disease. The upper airway includes the nose, sinus, throat and larynx above the voice box. Many patients cannot differentiate if they are having a flu or cold; a nose allergy or sinusitis. As patients may have been breathing poorly for years, many with significant nose block do not think their nose is blocked at all. Instead, many of my patients complain instead of snoring, no sense of smell, or bad breath. Chronic nose block can be from structural causes like deviated nose bone, large inferior turbinate nose tissues and nose allergy. These structural problems also causes a patient to be more prone to bad nose congestion and more frequent cold and flu – akin to a river that does not flow and prone to festering infections. Cold symptoms are due to virus infections, and usually last 7 to 10 days. There is stuffy nose, sneezing and sore throat. Unlike the flu, cold symptoms are milder, lower grade fever, and the patient is less ill and still active. Flu symptoms are more intense and may last for weeks. Though arising from virus infections, a secondary bacterial infection is more common. Runny nose overshadows the nose block, and cough and bronchitis may be significant. There may be high fever, bad headache, vomiting, diarrhoea and severe body aches. Complications like pneumonia is higher in the elderly, very young, pregnant or immunocompromised patients. Allergy symptoms similarly include sneezing and itchy, runny or blocked nose. Allergy can develop at any age, even in adulthood, though some patients also have a genetic predisposition. There is no fever nor body ache. Any sore throat is more irritative than painful, and more likely from a postnasal drip. Associated allergy symptoms are asthma and itch of the eye, ear, throat and skin. Allergy results from our body over-reacting to a usually harmless allergen; not a virus infection. Symptoms arise with exposure to the offending allergen. For example, those with house dust mite allergy have it worse at night and awaking in the morning, as house dust mites are found in soft furnishings like beds, pillows, bolsters, blankets, carpets, curtains, soft toys and sofas. Sinus infection symptoms mimic that of flu. Additionally, there may be pain in the cheeks, around the eyes and teeth. Thick coloured discharge from the nose or postnasal drip is more common, and may last for weeks if untreated. Sinusitis is due to a viral or bacterial infection or inflammation of the 10 air cavities in the bony structure of our face. Postnasal drip can cause a cough and sore throat. In severe cases, there may be eye swelling and brain infection. Prevention efforts include frequent handwashing with soap, not touching the mouth, nose or eyes with contaminated hands. A mask should be worn to avoid passing on infections, though in Singapore, many wear a mask to avoid getting infected instead. Isolating those who are sick and avoiding sharing of utensils and towels also help to prevent the spread of pathogens. Seasonal flu vaccines are helpful for the vulnerable population. In certain cases, antiviral medication can be prescribed by doctors. Avoid smoking, and identify allergens through proper testing early. Medications include nasal rinse, antihistamines, nasal decongestants and steroid nose sprays. To reduce the need for long-term drug use and in hard to control cases of allergy, immunotherapy is helpful. For example, instead of just treating the symptoms caused by an allergy, immunotherapy makes one no longer react to the offending allergen. Immunotherapy comes in the form of tablets, oral drops, and injectables. An appropriate antibiotic guided by local bacteriology data for 7-10 days may be needed for severe bacterial infections. To exclude structural problems and sinusitis, a flexible tiny nose light scope is passed through the nose in the clinic for both kids and adults – mildly ticklish, but not painful. Within 5 minutes, this can exclude swelling, discharge, polyps, tumours, deviated nose bone and enlarged turbinates. In recalcitrant sinusitis, non-invasive Functional Endoscopic Sinus Surgery (FESS) with or without balloon sinuplasty allows for safer and more precise surgical clearance of disease nowadays.